An older publication, but a good one with valuable information. 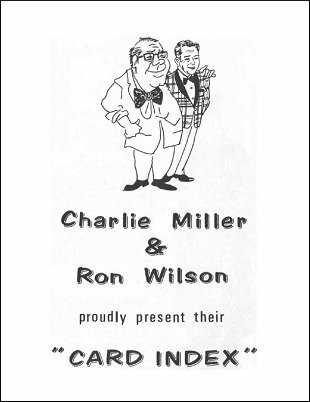 Charlie Miller, one of the world's most knowledgeable magicians, designed a modern form of Card Index, which is fully explained here. Among various routines and efffects included in the book is an article on the most famous of all "index" magicians, Arthur Lloyd, written by Chet Karkut, who now owns this act. 1st edition 1950s, 32 pages.